The Rev. George Riggins, pastor of Monroe United Methodist Church and my good friend has graciously given me permission to use his latest post as a guest blog. I am in Blackstone, Virginia with the clergy of the Lynchburg District and the clergy of the James River District at a training event that began yesterday morning and will conclude later this morning. The focus of this training is on making mission happen. 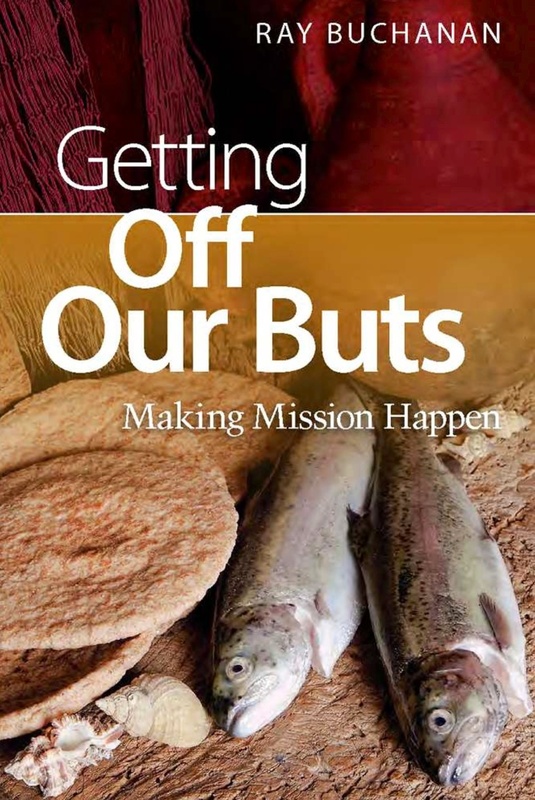 The keynote leader for the training is Ray Buchanan, author of “Getting Off Our Buts: Making Mission Happen.” Ray knows well how to make mission happen; he is the co-founder of Stop Hunger Now (1998) and founder of the Society of St. Andrew (1980). He has inspired us and entertained us with many personal stories of the miracles he has witnessed in mission. He shared with us a blueprint that he has followed for decades to help congregations engage in mission, and this blueprint comes straight from Scripture! The blueprint has seven steps. What do you think of this Biblical blueprint for mission? For the readers from Monroe UMC, do you think this blueprint would work for us at Monroe UMC to engage in new mission opportunities? Please post your comments to this blog site. 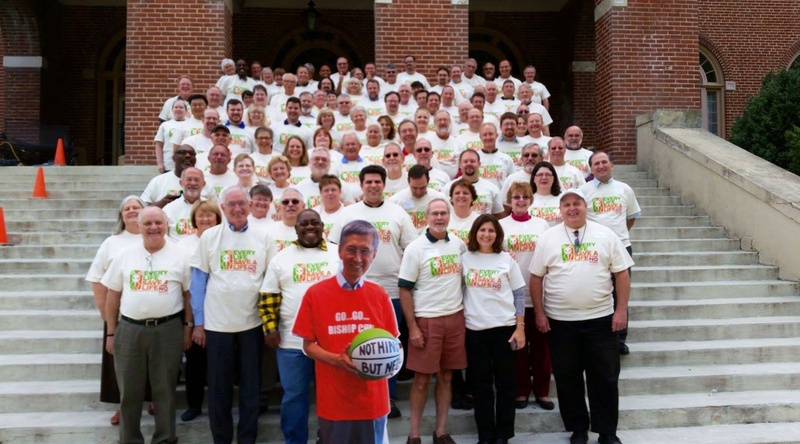 Can you find me in the group picture of clergy taken yesterday in our “Imagine No Malaria” tee shirts? This entry was posted in Facts & Statistics, Guest Blogger, Hunger & Poverty, News & Views, Photos and tagged biblical blueprint, clergy, GETTING OFF OUR BUTS:Making Mission Happen, james River District, learship, Lynchburg District, miracles, mission, Monroe UMC, Society of St. Andrew, Stop Hunger Now on September 24, 2014 by Ray Buchanan.